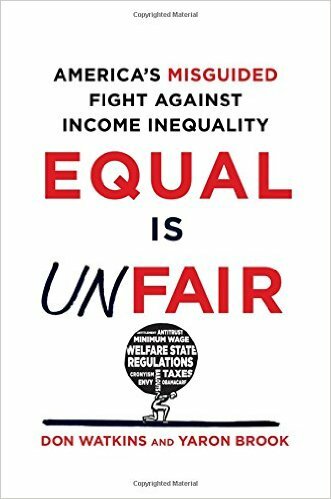 It was fitting for The Heartland Institute‘s President and CEO Joe Bast to feature Yaron Brook President of the Ayn Rand Institute, in a discussion of his new book, “Equal Is Unfair: America’s Misguided Fight Against Income Inequality.” Both organizations are fighting for the principles of freedom and liberty as set forth by our Founding Fathers. The event was the third held in Heartland’s newly-named Andrew Breitbart Freedom Center at its Arlington Heights, Illinois, headquarters on Wednesday, March 23. The words “Andrew Breitbart Freedom Center” are emblazoned on the awning leading into the venue itself and is likewise printed predominately on the front wall of the gathering place. During the afternoon discussion, Brook explored the question as to whether the American Dream is failing as the rich become richer and leave the rest to struggle just to keep their heads above water. Born and raised in Israel, Brooks admitted he was a Socialist until age 16. In 1987, Dr. Brook moved to the United States where he received his MBA and PhD in finance from the University of Texas in Austin. He became an American citizen in 2003. Brook has been a columnist at Forbes.com, and his articles have been featured in the Wall Street Journal, USA Today, Investor’s Business Daily, and many other publications. 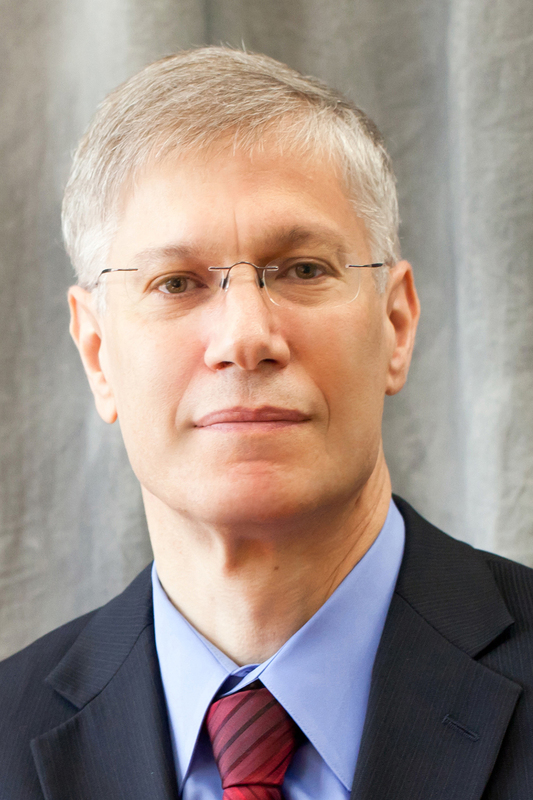 Yaron Brook was introduced by Jim Lakely, Director of Communication at Heartland. Preferring not to stand behind a podium, Dr. Brooks used the entire platform space from which to advance his thoughts and ideas. With microphone in hand, Brook’s initial comment was to reference inequality as the issue of our time, at least according to President Obama and the Pope. Accordingly, the claim is that inequality is responsible for almost all the ills of the day, specifically when it comes to the big gap between rich and poor. It was none other than Karl Marx who made the allegation that owners of capital just become more and more wealthy. A fallacy, because capital doesn’t grow automatically on its own, it must be invested in order for it to grow. Yet there are those who say we must tax the wealthy at an income tax rate of 80%, with no loopholes. And what about the idea of a 10% Global Wealth Tax which would surely generate lots of money. The catch: the money realized would not be given to the poor. Instead, its stated purpose is to shrink income inequality — to penalize those who have in order to knock them down. The American people generally don’t envy those who have more than they do. The Left, however, is trying to use inequality to stir up resentment by promoting inequality as a bad thing. To Bernie Sanders this nation has a millionaire and billionaire problem, and we must deal with it. What about the assumption that wealth is a social issue. When referred to as a collective pie, the pie must be divided equally. But the pie is not a collective pie. You make the pie, and if you make it you expect fairness. Therefore the idea of an individual pie must be defended, in contrast to those who say you didn’t build it or make it so sharing must occur. In order for society to grow and prosper there must first be an entrepreneur who initiates an idea. Next must come the money from a capitalist who is willing to invest in an idea that might not succeed. Workers must be hired, but they are not willing to work for ten years without pay, the time is might take for the business to succeed and become profitable. To be remembered is that we don’t live in a zero sum world. Why then is the Left winning the battle? It is because the Right doesn’t fight back to refute what the Left is spewing forth as truth. Cronyism is often cited as the way individuals become rich. In the economic context it’s through privilege reserved for those who fill their pocket by taking advantage of special favors from the government. But as widespread as cronyism is Mr. Brooks sees no evidence that it is the dominant cause of economic equality. Often noted is that poor people don’t have many opportunities to advance economically as they work at low paying jobs, but raising the minimum wage to $15 per hour and more would only limit the number of jobs available to them, thus many poor people would be denied even the first upward step on the ladder toward a better life. Consider also how licensing laws and regulation loom as impediments for people to open small businesses. The process can take much time and money. Regulations therefore function as job killers. Education is definitely an important criteria for advancement. Without an education job opportunities are definitely limited. Being handed a welfare check only destroys pride in self and the ability to engage in economic opportunity. Given all the technological advances, the quality of life for the middle class is better today than it was in the 70’s, but slow economic growth is limiting the number of poor individuals who should be joining the middle class. What spurs the Left to believe that inequity must be fought through tax hikes, wealth redistribution schemes, and a far higher minimum wage? It’s based on the Left’s philosophy where equality becomes the standard by which justice is determined. Cambodia’s Khmer Rouge was cited as a glaring example of how the philosophy of equality was taken to an extreme. In the end pure evil resulted when brutality and violence were used to stamp out any hint of individualism. Over three years one and a half million people, out of a population of seven million, were sacrificed by Pol Pot as he attempted to create a Utopia where complete equality existed. Today this nation faces a choice between two moral values. One view speaks of justice occurring when each individual has an equal right to pursue his own happiness and success and then is able to keep whatever wealth income and opportunities he earns because of his pursuit. This is in direct contrast to the social justice view of the Left, where government must restrict freedom to make individuals economically equal, and if a person produces too much, his hopes and dreams should be sacrificed for the sake of those who haven’t produced. If the American Dream is to be saved so a more just and prosperous society can be created, the collectivist-egalitarian doctrine advanced by the Left must be rejected. Championed instead must be the individualist idea of moral justice that celebrates human achievement and frees human ability. The threat facing the American dream is not one of economic quality. Instead, it’s a war that centers on political inequality in which two moral views of justice are competing for control. May the individualist idea that celebrates human achievement and frees human ability be victorious. This is a must if the American Dream is to be kept alive for future generations. Following Dr. Brook’s presentation, questions were directed to him from the audience and also submitted by those listening to Heartland’s live-stream pod broadcast.